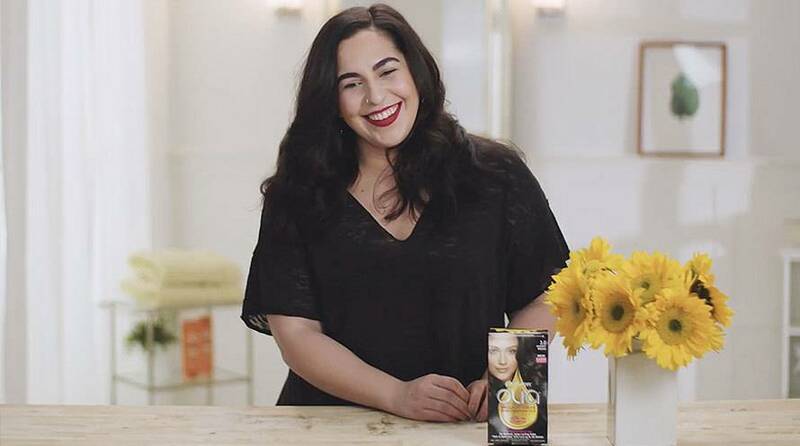 Garnier Olia shade 4.35, "Dark Golden Mahogany," adds golden tones and reddish reflects to your hair for a brilliant, chestnut brown result. 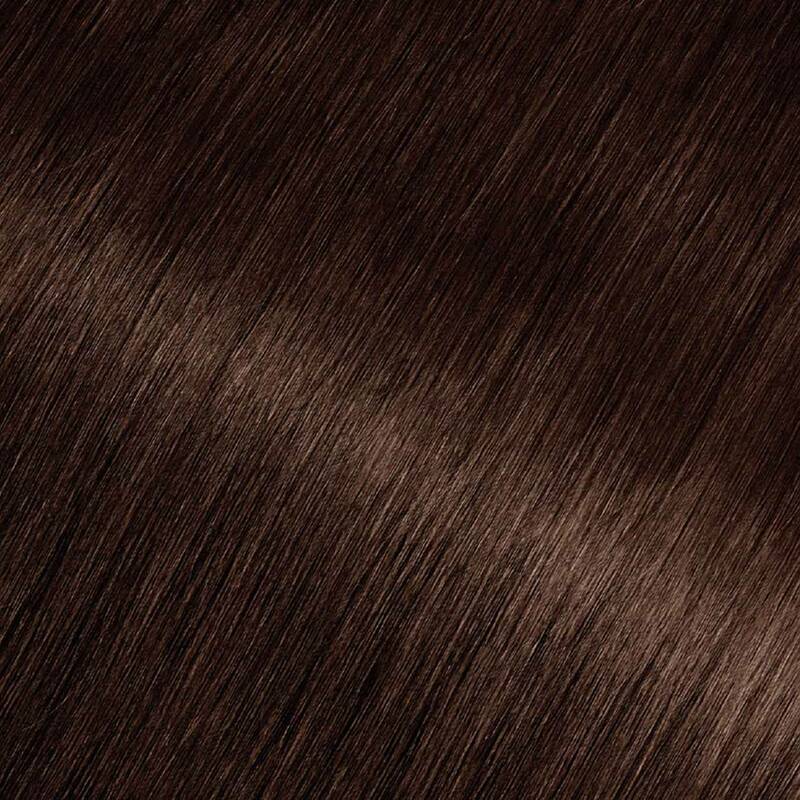 4.35 provides 100% gray coverage and is best for anyone with natural hair between light brown and black. If you prefer a lighter color, shade 5.3, "Medium Golden Brown" may be for you; however, it does not have any red reflects. If you prefer to remain in the dark brown range but would like to try other reflects and tones, there are many shades to choose from including 4.0, 4.03, 4.15, 4.3, 4.35, 4.60, and 4.62. *For women with currently color treated hair, there are special considerations for the color result you can achieve. Because of this, we do not recommend shade 4.35 for hair that has been previously colored shade 3.0, "Darkest Brown," or darker. For more help, use our Shade Selector Tool to find the perfect shade for you! Rated 5 out of 5 by Audrey888 from this product literally Brought life to my hair. For years I used Loreal preference hair dye. I loved it but the smell was so strong and the ammonia was literally making me feel like I was going to have an allergic reaction and my lungs were going to close up. I thought I just had to accept my gray hair until Revlon Colorsilk came out with no ammonia. However, the colorsilk did pretty much nothing to cover my gray hairs, and over a short time my hair was seriously so dull it had less shine than my regular uncolored natural roots (which typically have zero shine ). The "colorsilk" was also pretty drying and damaging, there was nothing silk about it. I am so happy I tried this product. The color is gorgeous, it doesn't smell bad, and my hair has an unreal shine. It covered all my grays beautifully. Please do not ever stop making olia in all the shades. This is hands down the best dye I have ever used from a box and done myself. My only suggestion would be that they put on the boxes if the shades lean warmer or cooler or neutral. This is super helpful. Rated 5 out of 5 by Chiqui from Great Color! I just dyed my hair with olia 4.35 and I am in love!! I have a lot of greys in the front but barely any in the back. The color is a dark, but not too dark, brown with soft red & gold tones. It looks great. I am so glad I took a chance. Rated 5 out of 5 by Babsballet from Beautiful coverage and shade Great color The correct amount of red :) It highlighted my hair and covered my grey almost white curly hair! Rated 5 out of 5 by LHME from Beautiful rich color! I wanted to refresh my look without making a drastic change. My hair is dark brown, and I selected Dark Golden Mahogany and I am so pleased with the results! My color is not drastically different, it is richer with beautiful mahogany red hints. The red tones really show in sunlight. I definately recommend this color for brunettes looking for a subtle change. The product is very easy to use, the only improvement I would make would be to add texture to the application bottle to make it easier to hold on to. 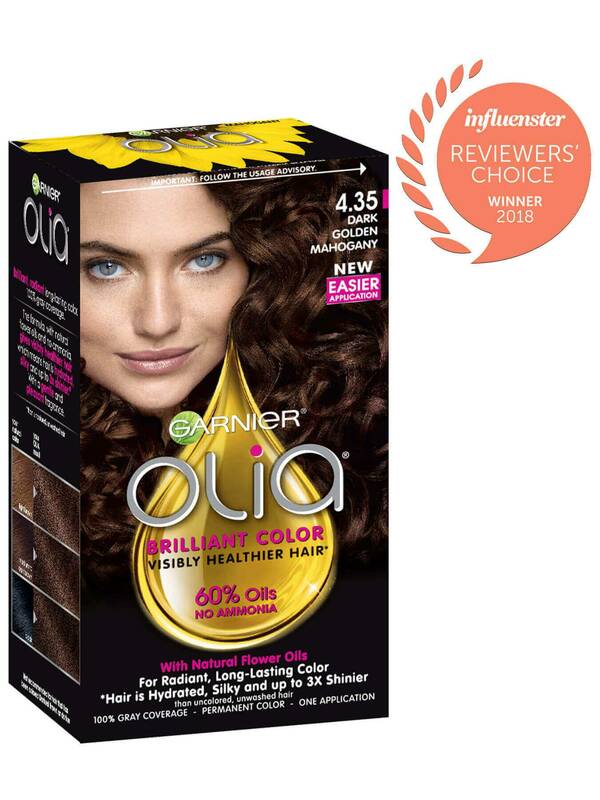 Rated 5 out of 5 by MJJWY from First-Time Self-Colorist Currently my family is living on my income, so to save money, after seeing a commercial for your new Olia line of hair color, I thought I'd give it a go. I've been very pleased with many of your other products (shampoos, moisturizing refresher, under-eye concealer, styling products); I will now add Olia to that list!! I LOVE IT! My hair is soft and shiny, and the product was super-simple to use (about which I was a tad concerned, having never done this myself; I've only used a professional colorist). Thank you, Garnier!